HomeFee Management Software What Are The Benefits of Using Fee Management Software in Schools? Gone are the days when schools and colleges had to spend a countless number of hours for generating reports even in spite of deploying the best software. Today, cloud-based software solutions help in simplifying day-to-day accounting tasks at the educational institution’s multiple locations. Simply put, School accounting involves activities surrounding inventory, budgeting, taxation, receivables, and salaries as well as bill payments. Besides helping in the activities mentioned above, the accounting software facilitates tools to make better-informed decisions. Monitoring payables and receivables for multiple locations becomes easy for higher management as they can efficiently manage the cash flow. Generating invoices and various reports to fulfill taxation requirements takes just a few seconds. The overall accounting process becomes faster, secured, automated, accurate, and cost-effective. The school can considerably reduce its annual operational cost. Tracking admission trends for various courses, profits, and losses as well as finding new course promotion opportunities takes just a few seconds due to the software. Most importantly, the statements generated with software programs are considered highly reliable by government departments while auditing. Maintaining accuracy and transparency in financial as well as overall accounting records automatically increases the institution’s productivity and revenue. Time-wasting manual calculations are a thing of the past. Files can be accessed from anywhere. This is especially beneficial for firms that have outsourced their financial auditing tasks to third parties. May it is budgeting, procurement details, accounting or financial data, your accounts and finance teams would be able to access the organization’s records even using their mobile devices. The cloud-based systems also eliminate the need for investing heavily in new hardware or major software as the solutions work on the existing computers, laptops, and smartphones. System integration enables various departments to transfer, import students’ data even from computers located across multiple locations. Seamless access to data for all departments ensures better collaboration, quicker approvals, and increased level of trust between the staff, students, and parents. Higher-management gets real-time expense tracking which can enable them to capture accurate data, monitor spending, and focus on reducing costs. 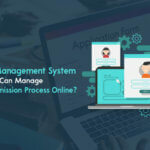 Most importantly, as mentioned earlier, it can easily integrate with other education system, apps, and websites that the educational institution already operates. Thus, the same software can single-handedly manage quick fee payment, admission and enrollment, library, transport, and hostel fee transactions done by the students using website and school application. Push notifications, emails, and message alerts for fee payment are sent automatically within seconds to parents. No matter if the institute is an independent, not-for-profit, public, and is in a rural, suburban or inner-city areas, parents prefer organizations that accept fees in multiple modes of payment. Several boards, including the CBSE, have already made it mandatory for schools to offer e-payment option for paying the fees. They have also been instructed to use online transaction methods while paying for procurement of items used in the educational institutions and of course, for disbursing salaries to teachers, contractual workers, as well as consultants. Exam fees and other charges need to be collected using e-payment options. Thankfully, an advanced school fees system helps in managing all these transactions efficiently. 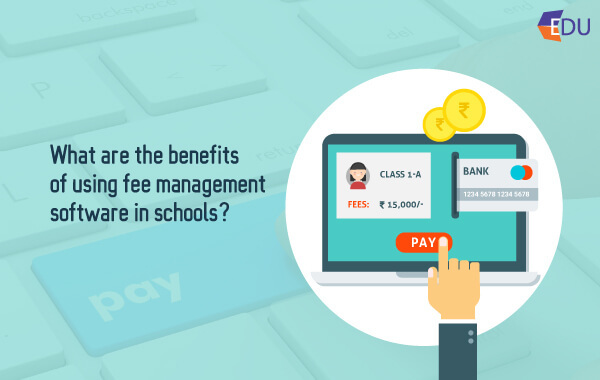 Educational institutions often avoid offering online transaction option while collecting library charges, lunch fees, and other minor charges to avoid paying card payment processing fees of 2 to 4 percent charged by banks. At present, some schools charge a convenience fee on the top of the transaction, while others prefer to absorb bank charges themselves. What’s the solution? Some banks offer corporate banking solutions for educational institutions that can help schools to avoid processing fees and other charges. Schools that work as a part of the not-for-profit organization get even better options to save the amount spent on banking charges. Some of the most preferred payment methods are ACH (Automated Clearing House), Direct Debit, card payment, NEFT funds transfer, internet banking, PayTM, and pay-by-check. Along with the partner bank, schools also need to select the best online payment gateway for processing the payment. Some of the most trusted options in India are Bill Desk, Citrus, CC Avenue, PayUMoney, etc. Choose the one that works with your bank and processes the payment quickly to make funds available in your school’s account. Accounting and fee management is undoubtedly not one of the primary functions of any given school. But, since decades, organizations had no other option but to dedicate human resources and funds to handle these transactions manually. The use of computers in financial management in schools offers a huge relief. It makes the entire procedure for making payment easy for parents, students, and donors. Paperwork has been reduced to zero as e-receipts are issued on a real-time basis via email, text messages, etc. The business models, structures, and rules for the fee module school management can be easily reprogrammed according to the school’s changing needs. It also takes care of tasks like maintaining a record for the daily number of working hours and overtime payment details for teachers, professors, consultants. Most of the school management software/ERP systems come loaded with accounting solutions as well. If schools or educational institutions also offer a training programme, it is liable to register and pay GST on certain activities. Even supplying uniforms, laptops, and other sports equipment is a taxable activity. Thankfully, education accounting software can be programmed to offer assistance in generating GST documents, invoices, etc. Besides saving time and paperwork, the school software features help in reducing errors and losses caused due to documentation mishandling. Simply put, the software keeps track of all the financial activities like school expenses, employee expenses, and student billing details. It enables the institute to focus more on its primary goals. Training the employees to use such software is easy as most of the systems happen to be user-friendly. If you wish to opt for a tailor-made student fees record software for your school or educational institution, you should discuss your requirements with MyEdu. The firm has developed several webs as well as mobile apps for schools and colleges.